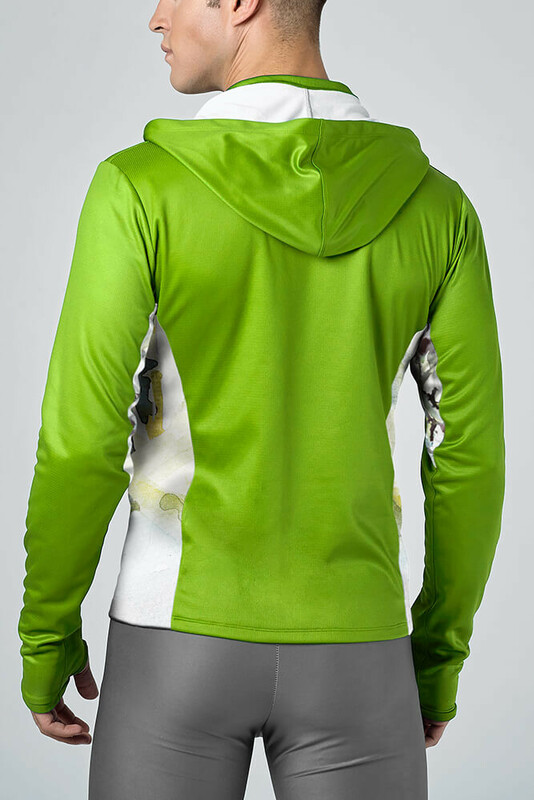 Men's sweater with aerodynamic tight-fitting pattern for outdoor or indoor sports in lime green colour. Light plush fabric retaining body heat and rejecting perspiration: specific fabric trapping sweat and expelling it. Sleeves do not pull up thanks to the hole for the thumb to stick out and hands are partly-covered to keep the extremities warm. 22-cm front opening with invisible YKK zipper plus two side-pockets with invisible YKK zipper. Hushylock-reinforced seams make the garment resistant and suitable for outdoor activities. 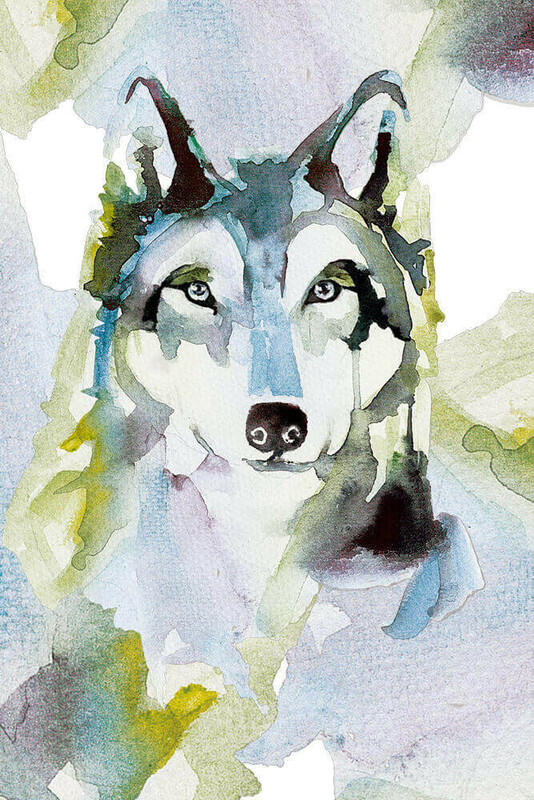 Lateral stamp-heated wolf watercolor illustration for a touch of creativity and dynamism.